The Dark Wolf Pendant is part of Alchemy's Metal-Wear collection. 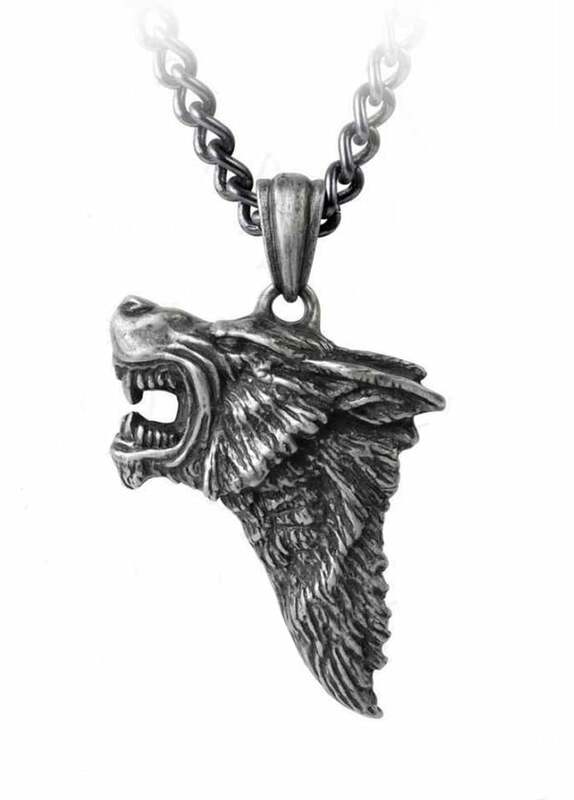 The antiqued pewter wolf's head pendant hangs on a bale from a black curb chain. The ferocity emanated by this feral beast is tangible to anyone who happens to just glance.